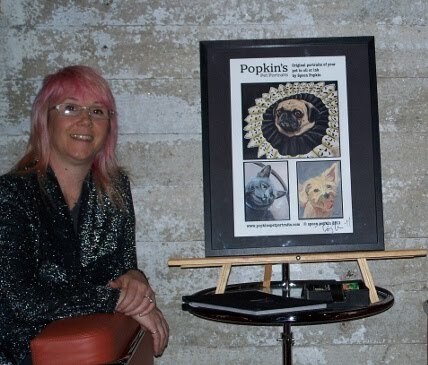 I’ve donated a 10″x10″ custom pet portrait to be auction off in support of Moveable Feast through Ride for the Feast. On Saturday, April 16th, join The Shirley Temples as they Play for the Feast at Silo Point. 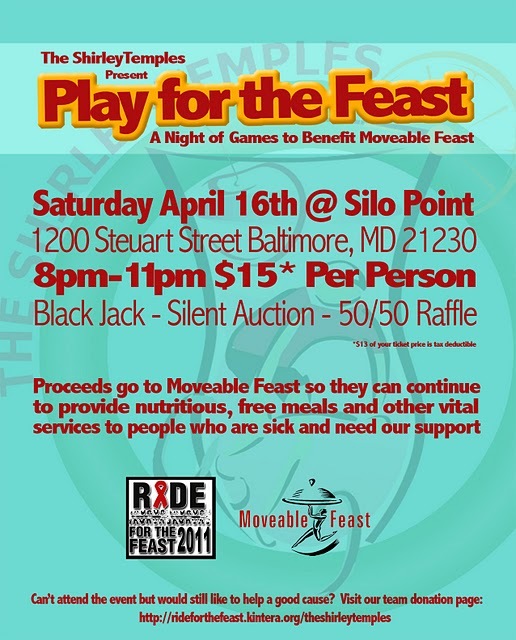 For a $15 entry fee, enjoy blackjack, a silent auction, a 50/50 raffle and more from 8:00PM to 11:00PM. 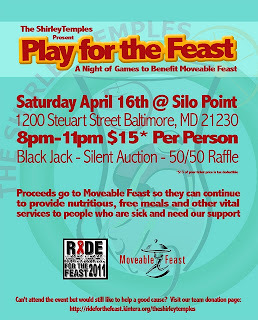 The ticket price includes food, beverage, and one raffle ticket!